Is Your House an Asset? 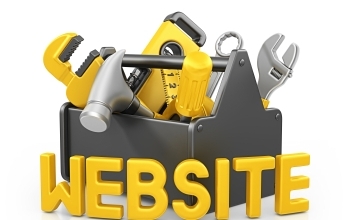 A website can serve several functions to new or growing businesses. It can either be a simple website with contact information and a brief description of the company’s products or services, or it can be an interactive website like the type that will allow online purchasing. Therefore, on deciding how to build a website from scratch, then it’s necessary to start with the basics, and then move onto other aspects of website building as other website functions are needed. These different types of functions and their respective websites are described below. 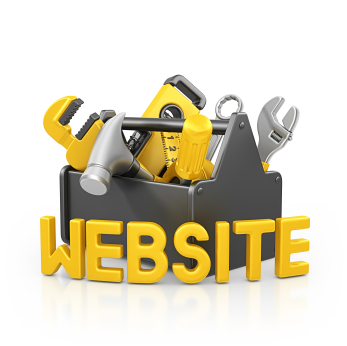 Regardless of the type of website to be built, these three items are an absolute must. Your business internet address (domain name) only gives you claim to use that name as your virtual address on the internet. That’s it, nothing more. It’s not a website, just an address. To build a website, that address must have content. Content on the internet are known as “Web Pages.” This page that’s being read now is a web page. This web page is on a computer somewhere in the world, and the owner of that computer is being paid a monthly fee to have this web page hosted so that others, like you, can read it. This service is called “Web Hosting” or “Website Hosting.” The second stage after the domain name registration is to buy web hosting. Now that the name and hosting are available, it’s now time to build the web pages, like the one that’s now being read. This can be done using website builders, free programs like WordPress , or professional developers will use programs like Adobe Dreamweaver. For the non-tech savvy person, it may be better to pay an individual to build such website. SSL is the abbreviated form of Secured Socket Layer. In simplier terms, it’s a system to encrypt all information that’s sent between your website and the computer that’s hosting your web pages and other information. All banks and most online shopping carts will have one. On registering a domain name, your full contact details, including name, address, phone number and email address are available to the public thru the WHOIS database. For a small annual fee, your website hosting company can hide that information from the public. For the installation of the SSl certificate, your website will need to be hosted on one special computer. Each computer on the internet has a unique code that identifies it. This unique code is called an IP address or Internet Protocol Address. A unique IP address is required for the installation of an ssl Certificate. Should that be necessary, then an additional purchase will need to be made from your hosting company for this service. On purchasing a domain name, or a website hosting package, email plans are provided. However, these email plans can be limited to the amount of information and sent/received emails that can be kept. Sometimes, it’s necessary to get an unlimited email plan, and especially for business purposes. However, more advanced websites will need to interact with customers. They will need to sign in, post comments, buy products, receive and provide information etc. These kinds of websites are called interactive websites. The information center that provides this kind of interaction is called a Database. Depending on which website hosting plan was chosen, a number of databases may be included at no additional charge. Large websites with intensive website traffic, and especially those with thousands or millions of viewers per day or month, will need to have its own computers to host the websites on. The normal computer that the hosting company rents to you houses hundreds or thousands of other websites. Your website, if there are thousands or millions of views, will slow that computer down and prevent all the other websites from being seen on the internet. For such sites with heavy traffic, your host will insist that a separate computer be rented for your site only. In IT language, this is known as a Dedicated Server. The simple 5 page business information or hobby website will suffice with the basic website hosting and no additional email plans. However, as a business grows, the website needs may need to be expanded. The normal website hosting provides ten (10) Databases with a maximum size of 10GB. If larger databases are required, an ultimate package with unlimited size may be required and therefore an upgrade will be needed.